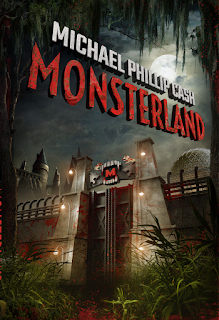 for a diabolical plan: MONSTERLAND By Michael Phillip Cash. Get the full list of best-reviewed titles on The Huffington Post! Click HERE! 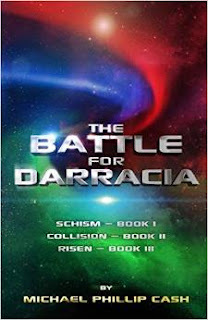 THE BATTLE FOR DARRACIA: SCHISM, COLLISION, and RISEN by Michael Phillip Cash is an excellent omnibus edition of fantasy stories that examine society and show the real truth. 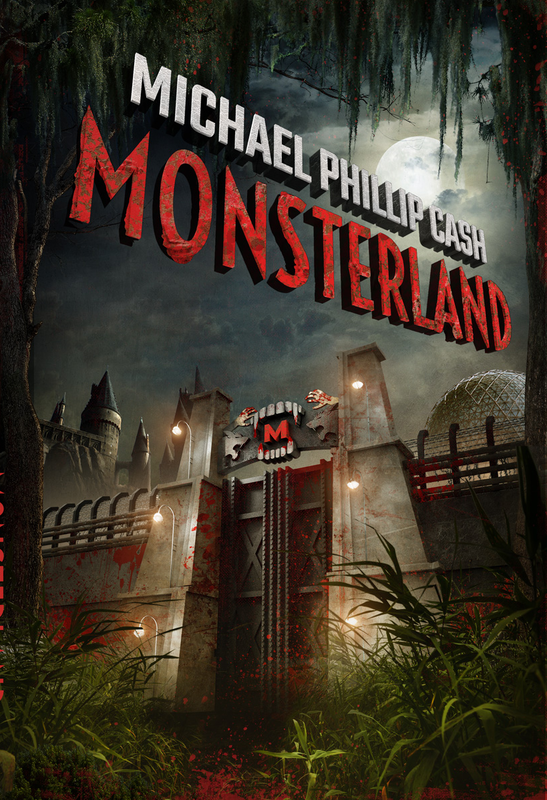 A worthwhile, thought-provoking read that is an excellent entry into the genre. The colorful cover is striking. I enjoyed seeing it. The combinations of red, blue, and green will grab the attention of the potential reader, and the title and design tell us right away what type of novels to expect. Good work! The back cover copy is excellent and show the reader what questions will be asked, and answered. The author photo is clear and a good addition. The bio was amusing. Great that the author lists some of his other books, and tells us four places online to find him. I also enjoyed the serious author bio inside. Inside, the reader will find an epic novel in three parts that explores the ideas of equality and peace. The overall message is inspiring and uplifting. Readers should appreciate the author's sensibilities. Because this is a thoughtful novel with an important message, I'd like to see both adults and young adults read this work. The story is excellent but not preachy. Very entertaining. I love the name Reminda! It's just cool. * Judge, 24th Annual Writer’s Digest Self-Published Book Awards.